The Notes application is one of our most private tools on our phones. We use them to store some information ranging from random thoughts to passwords, addresses and financial and health information. 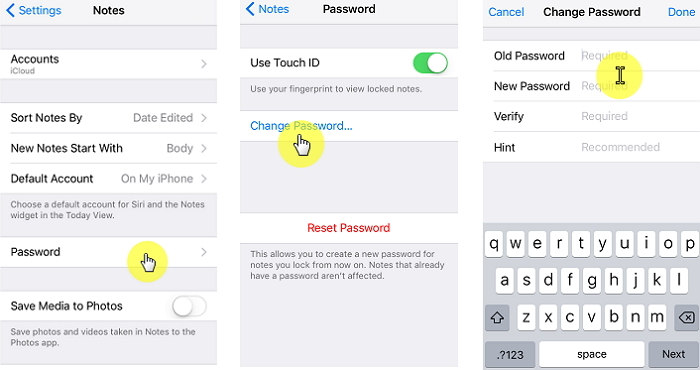 This is why you can set a password lock on your notes app, using a password or Touch ID. For the password, you can use a single password combination for all your notes. Keep scrolling to learn all the steps you need to know to keep your notes locked and secure. Go to Settings and click on Notes. Give a hint that could help you remember your password if you eventually forget it. Tap Done. 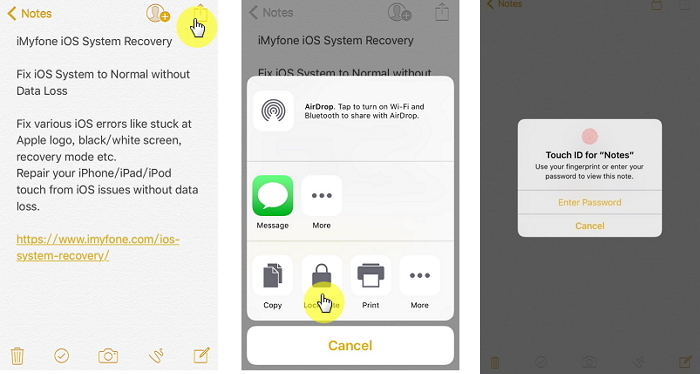 Open the note you want to lock, tap on the upward arrow icon and select Lock Note. Enter your password and include a password hint. Tap Done. What Happens If You Forget the Password? It is very important that you use a password you can easily remember. This is because, once you forget your password, Apple can't help you. There is no way to recover your old password. If the hint you dropped when creating your password was good enough, it should be able to help you remember. Once you forget your password, you can't access those notes anymore. 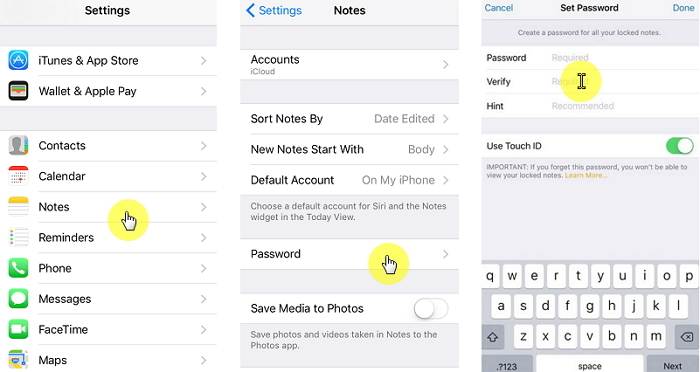 However, you can go ahead to create new notes using new passwords if you wish. This can cause some confusion as you will have different notes with different passwords on your phone. You will most likely keep putting in the wrong password till you find the right one when trying to open a note. At this point, the most you can do is delete those notes you don't have access to anymore. Once you have set up a password you can lock a note at any time. 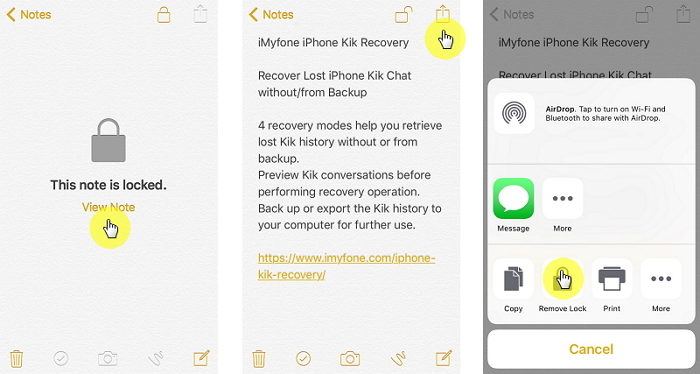 Open Notes on your iPhone and tap on an existing note. tap on the upward arrow icon and select Lock Note. 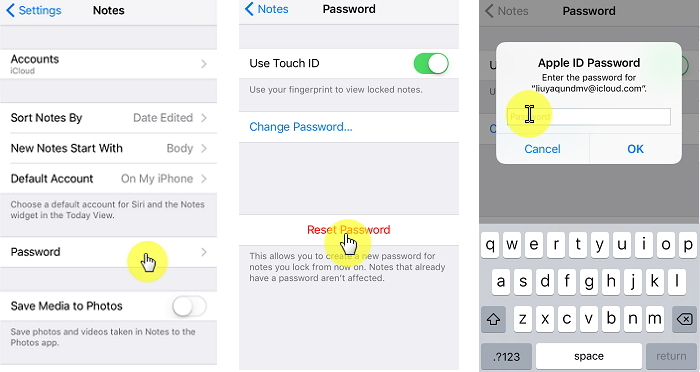 If available, you can use Touch ID to lock the note. If you prefer to use a password, tap Enter Password and enter your password to lock the note. A lock animation will confirm the note has been locked. 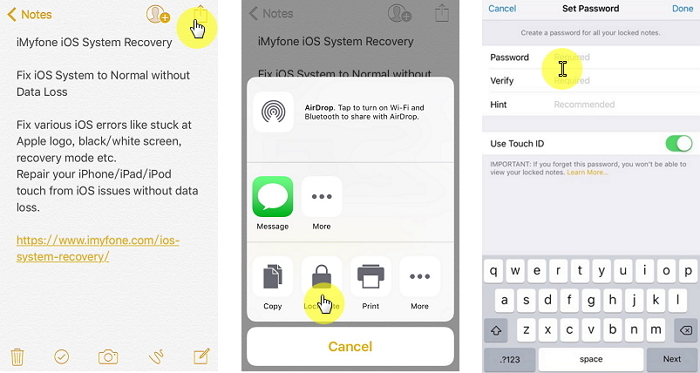 Select the note which you want to remove the lock and enter your password or use Touch ID. Tap on the upward arrow icon and choose Remove Lock. Be aware that when you remove the lock on one device, that note is also unlocked on all your devices that share the same Apple ID. Go to Settings, select Notes and then Password. Put in your old password then the new password. Change your password hint so it relates to your current password. Tap Change Password. Go to Settings, tap on Notes and then Password. Enter your Apple ID and then tap Reset Notes Password again. Enter your new password and a good password hint. If your devices are all synced, remember that this change won't be on just the device it was made on, the Notes password on all your devices will be changed to the new one.